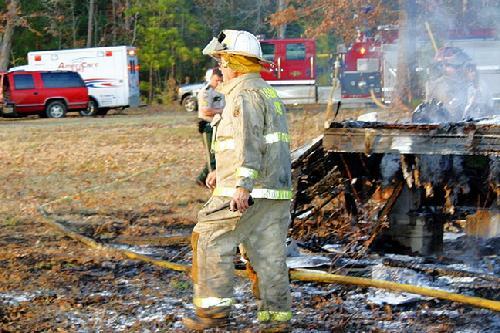 Mobile Home Burns, Owner Could Face Criminal Charges, SEVEN OAKS, January 2, 2010 - At approximately 4:40 pm on January 2, 2009, a mobile home fire was reported from the Seven Oaks area. 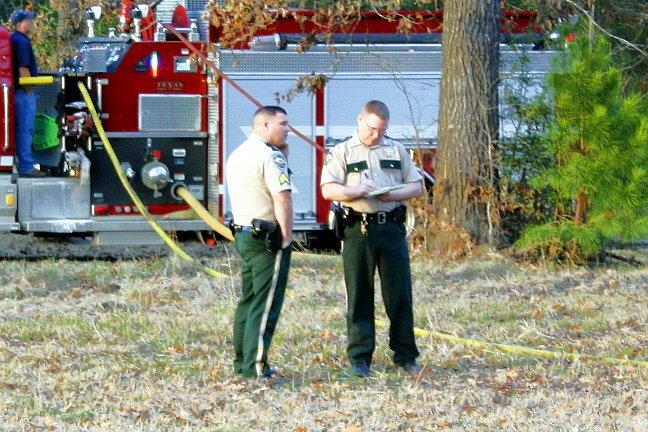 Deputies from the Polk County Sheriff's Office were dispatched to the scene along with men and 3 fire engines from the Livingston Volunteer Fire Department, and support from the Corrigan Fire Department. A large column of smoke could be seen from US-59 for miles as the mobile home burned. 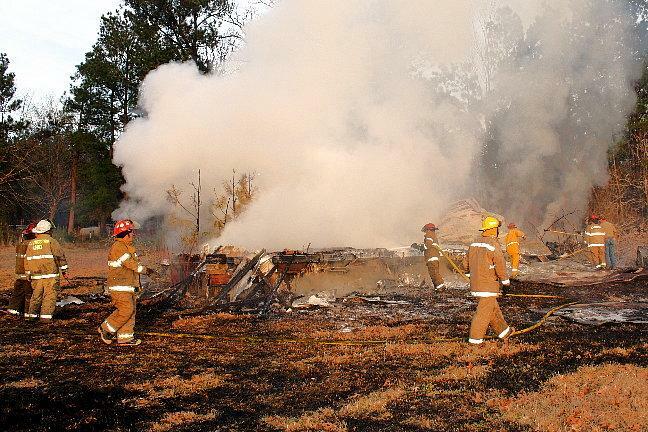 According to the Sheriff's Office, the owner of the home, Jesse Edward Hooey, 71, of Houston, set the abandoned mobile home on fire intentionally in order to get rid of it. 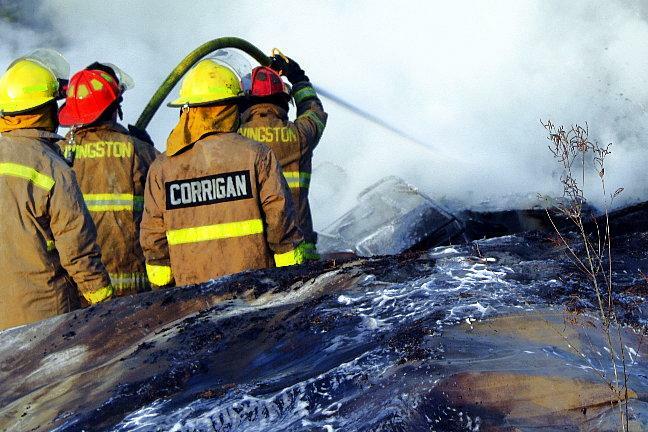 Battling the senseless fire required time, manpower and resources. 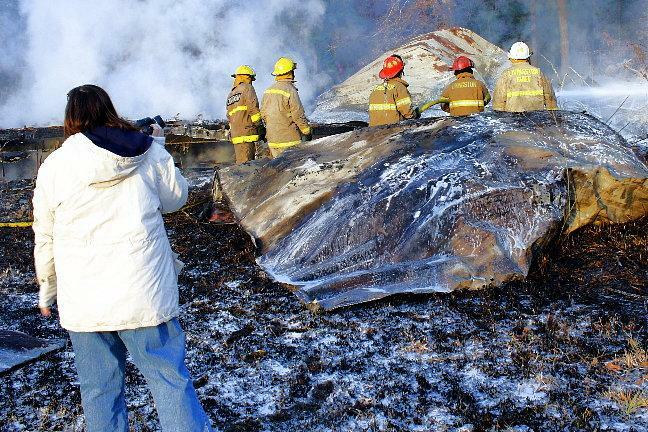 The Livingston Fire Department used a large amount of expensive flame retardant to put the fire out, and a mobile home fire poses environmental concerns. Hooey possibly faces criminal charges. 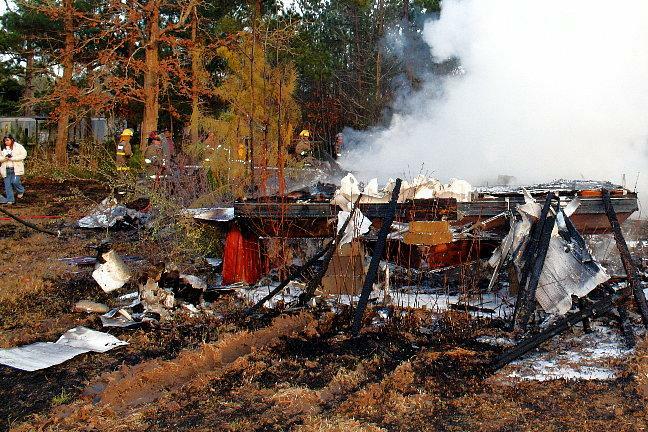 The mobile home which sat on Hooey's property has been abandoned for some time. The fire was out before 6 pm.